Nothing determines that course of your day more than how you slept the night before. If you struggle to get a good night's sleep, there might be a few small things you can change before you rush off to see a sleep specialist or take a sleeping pill to help you out. 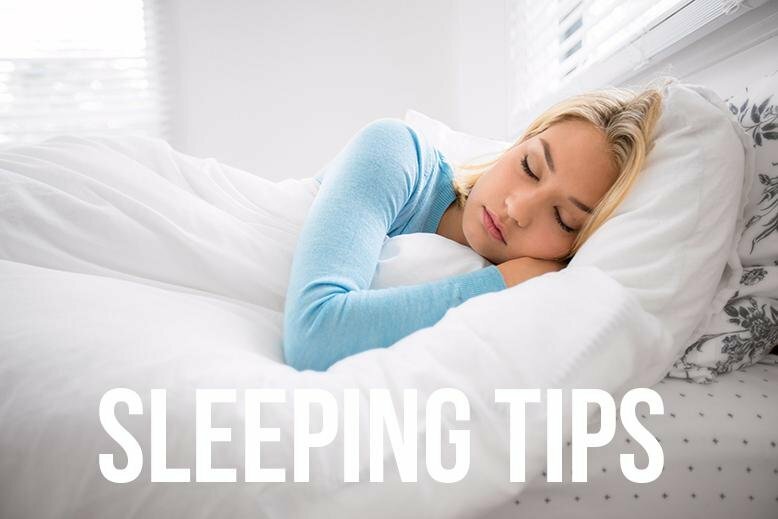 Grab your pillow, curl up into your blanket, and get ready to follow some of these sleep tips. STICK TO A CONSISTENT SLEEP SCHEDULE. Make sure you go to bed and wake up at the same time everyday - even on weekends. Set an alarm not only for waking up, but also as a reminder of when to turn off your light and go to bed. HAVE A RELAXING BEDTIME RITUAL. Doing the same things in the same order will key your body into knowing when it’s time to fall asleep. Avoid using screens during your wind down if at all possible. EXERCISE DAILY. Whether you work out vigorously or even just take a walk around your neighborhood, getting your body tired is one of the first steps to helping you fall asleep quickly. SLEEP ON A COMFORTABLE MATTRESS AND PILLOWS. Don’t waste your time sleeping on an old mattress. If it’s time for a new mattress, get one! Get the right kind of pillow for how you sleep. Stomach sleepers need a different pillow style than side sleepers, so make sure you’ve got the right pillow for you. IF YOU CAN’T SLEEP GO INTO ANOTHER ROOM. Avoid keeping anything that brings you stress in your bedroom. Work materials especially should stay out of your room. Make your bedroom and your bed a peaceful place. If you are tossing and turning in bed, go into another room and do something relaxing until you feel tired enough to go to sleep. SLEEP WITH TWO DIFFERENT BLANKETS. If you share your bed with a partner, think about having a blanket for each of you rather than sharing. You'll avoid late night wake ups fighting over who gets more of the blanket. Do you have any sleeping tips that have helped you sleep better? Share below!